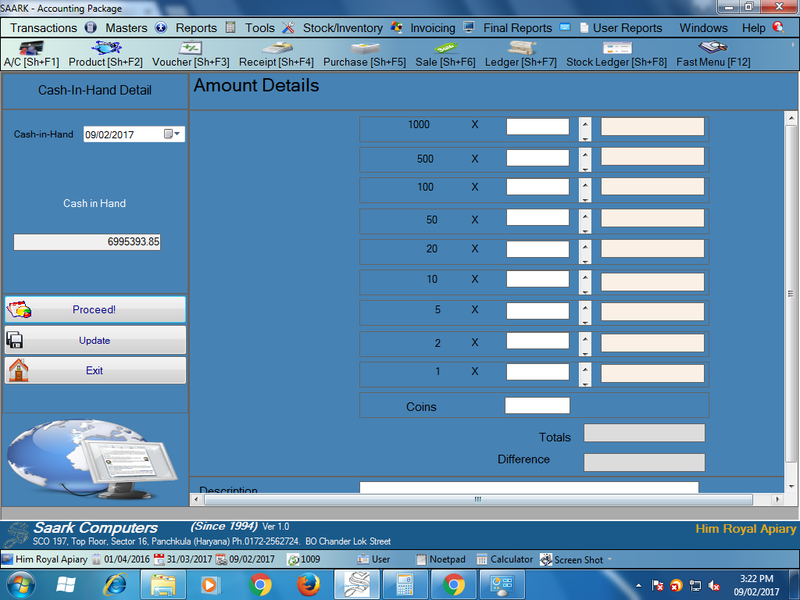 Today I learnt how to check cash in hand details on saark accounting software. Cash in hand is a fund. It is a total amount of money. 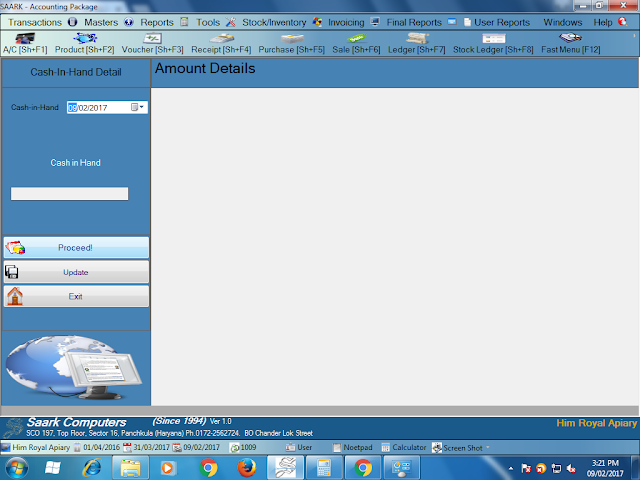 Cash in hand is fund which is available for a business, and can be spent as company requirements. It is part of current assets in the balance sheet. So let’s learn how to check cash in hand details on saark. Following are the main steps for checking the cash in hand details on saark. 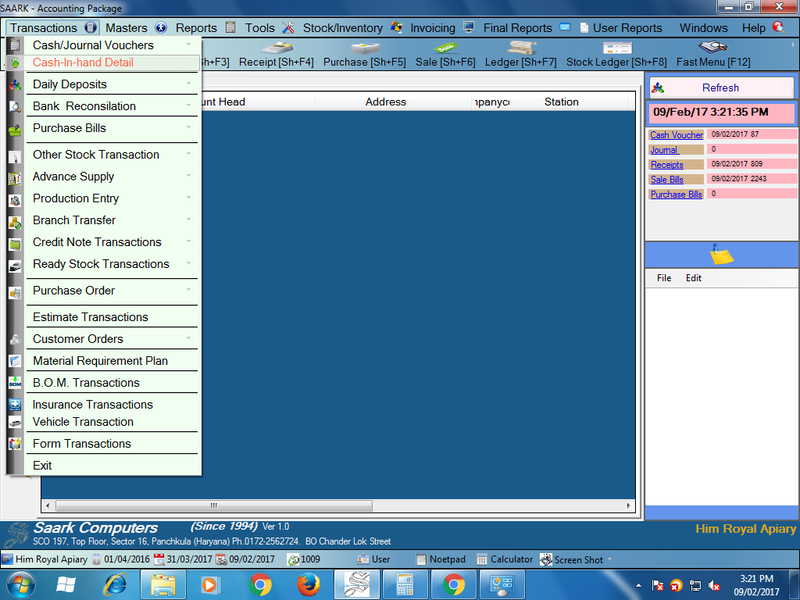 Click on Proceed Tab, and fill up the details of Note. Your cash in hand total and amount total should be same if it is same then click on update tab and update the cash in hand details.